As Donald Trump prepares to meet Xi Jinping, his administration is going down the old road of believing it can pressure China to solve the North Korea nuclear weapons problem—or face a US-initiated trade war. “Well, if China is not going to solve North Korea, we will,” he said. As usual, he wouldn’t say how, but he said he was hopeful that China, for which he has “great respect,” would help. “China has great influence over North Korea. And China will either decide to help us with North Korea, or they won’t. And if they do that will be very good for China, and if they don’t it won’t be good for anyone.” Asked what might motivate China to help, Trump said: “I think trade is the incentive. It is all about trade.” And if China refused? Trump said he was “totally” prepared to take unilateral action against Pyongyang. As was also true under Barack Obama, Trump refuses to understand that as much as North Korea’s tests of nuclear weapons and ballistic missiles rankle the Chinese, they are not going to try to force the North to disarm. Not that China lacks leverage to pressure Pyongyang. But the competing pressures are greater. First, Beijing is just as fearful as all the other parties about how North Korea might react if its back is to the wall. Second, Beijing doesn’t want to be seen as engaging in regime change. Third, helping destabilize North Korea may create an unmanageable refugee crisis. Fourth, North Korea is a strategic buffer for China, which cannot risk having it replaced someday by a US ally. Fifth, no one knows what Kim Jong-un and his military leaders might do—which weapons they might launch, for starters—if pushed to the wall. I do not consider credible the report concerning a North Korean defector who was deputy ambassador to Great Britain, and who told Lester Holt of NBC that once Kim Jong-un sees “any kind of sign of a tank or an imminent threat from America, then he would use his nuclear weapons with ICBM” (www.nbcnews.com/news/world/north-korean-defector-tells-lester-holt-world-should-be-ready-n741901). 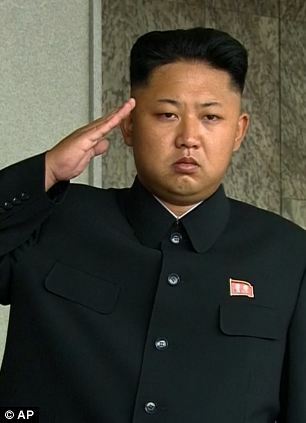 Still, it would be rather imprudent to push Kim to the point where he might take drastic action to save his regime. Sixth, what was true of Sino-North Vietnamese relations during the Vietnam War may also be true of Sino-North Korean relations: leverage is not the same as control. Thus, the Chinese will only go so far with UN sanctions, knowing they cannot force Pyongyang to do its bidding. How will Trump react? In a blistering critique of Trump, the Los Angeles Times editorial board wrote on April 2 (www.latimes.com/projects/la-ed-our-dishonest-president/): “He is a man so unpredictable, so reckless, so petulant, so full of blind self-regard, so untethered to reality that it is impossible to know where his presidency will lead or how much damage he will do to our nation.” Among the imponderables the editorial raised was this one: “Will he provoke a confrontation with Iran, North Korea or China?” The Bill Clinton administration struck a deal with Kim Il-sung that led to the Agreed Framework of 1994. Barack Obama’s policy of “strategic patience” failed to prevent North Korea from significantly increasing its inventory of nuclear weapons and missiles. But the tense relationship did not lead to open conflict because everyone in the administration feared the costs and risks. Under Donald Trump, however, we hear nothing about patience or prudence. US threat options are limited. A US attack on North Korean nuclear and missile facilities, military specialists have long agreed, would not be able to eliminate all of them. But it would bring on a North Korean counterattack, resulting in incalculable human and physical damage to North and South Korea alike even if only conventional weapons were employed. Further squeezing North Korea with sanctions has never worked. Sanctioning additional Chinese firms and banks that do business with North Korea, or providing Japan with new weapons (such as cruise missiles) to deter a North Korean attack, would anger Beijing and further reduce Chinese incentives to distance themselves from Pyongyang. So that leaves diplomacy, which I have frequently argued is the only realistic option. China will say “no” to Trump on full-court pressure on North Korea, though with an ambiguous promise to “do more” with North Korea. But if Trump is smart, he’ll realize that he has a better chance of solving the North Korea puzzle by nurturing US-China relations. That means returning to the negotiating table, where positive US-China relations can make a difference–specifically, in crafting a deal, “action for action” (such as happened at the Six Party Talks in 2005), that might be palatable to North Korea and put the nuclear and missile issue on ice for so long as the deal works. North Korea’s nuclear weapons probably cannot be eliminated now, but they can be warehoused under international inspection if its security and economic needs are addressed. Time is running out, and it is very doubtful that Trump’s inexperienced team is capable of crafting a creative diplomatic strategy to head off another nuclear crisis with North Korea. Thanks for your clarity in an otherwise complex situation. Mel–I agree with Michael Parker. Your overview makes a lot of sense to me.